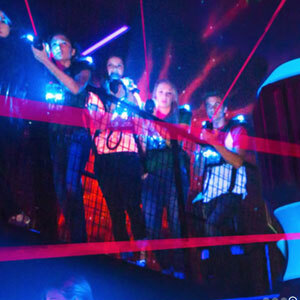 Laser Flash is Indy’s premier laser tag, arcade, and event meeting area. Be a part of the ultimate gaming experience. Come Together. Have Fun. Be Bold. Play Laser Tag. 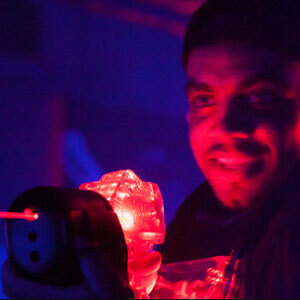 Gear up with your friends, family, and co-workers for an action-packed laser tag adventure along with arcade games, Noble Roman’s pizza & breadsticks, and plenty of event space for your next celebration. Come experience Laser Flash for yourself. 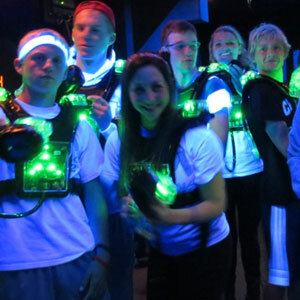 For almost 20 years, Laser Flash has been known for A+ service and fun in the Carmel & Indy area with the best and largest laser tag arena in Indiana. What better way to celebrate a birthday party, group achievement, or just getting together with friends? Let our well-trained staff take care of everything and provide you and your guests with an unforgettable experience! No special event or celebration needed. Grab your friends and family for an active and exciting afternoon or evening at Laser Flash. 30-Day Player Cards can be added to your laser tag purchase for just $2 which gives you $5 arcade credit and allows you to come back and play EVERY DAY FOR A MONTH in addition to bonuses & discounted pricing in the arcade and Noble Roman’s! Looking for some creative ideas to improve collaboration and teamwork in your organization? Improving communication and problem-solving are a must as your group works together to unlock their skills in a competitive environment. Enjoy the use of our meeting room with full audio visual equipment along with our food & beverage packages as you relive the experience with your team! Sorry, Laser Flash is closed right now.